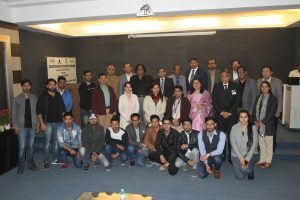 Department of Computer Science and Engineering (CSE), Faculty of Engineering and Technology, Manav Rachna International University, organised a Staff Development Programme (SDP) on Usage of Linux – Libre Office (Open Source) at MRIU campus, Faridabad. The SDP was designed and structured specifically for the administrative staff, to make them familiar with the Libre Office and train them to use this package for their daily office work. The event commenced with the introduction of the programme given by Dr. Naresh Grover, Dean, Academics, MRIU & Director, Admissions, MRIU, whereby he highlighted the significance and benefits of switching over from MS-Office to Free and Open Source Libre Office. Resource person Dr. S. S. Tyagi, Professor and Head, Department of CSE, FET, emphasized on the need of Open Source and how Libre Office is cost effective as well as virus-free. 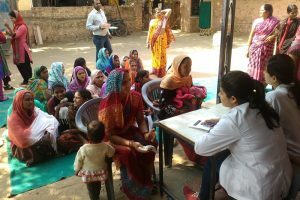 This was followed by the speaker Ms. Shobha Tyagi, Assistant Professor, Deptt. of CSE, FET, apprising the attendees that Libre Office is a free and open source office suite, comprising of programs that enable word processing, preparing spreadsheets, slideshows, diagrams and drawings, maintaining databases, and implementing complex mathematical formulae. It is the default office suite of most popular Linux distributions. Libre Office is also compatible with other major office suites, including Microsoft Office, through a variety of import/export filters. She also elaborated its components such as Libre Writer, Libre Calc, Libre Impress etc. The programme continued after a short tea break with the presentation on PDF Reader / Writer, Web Browsing, Using Firefox and General System Settings etc. The programme also included a hands-on practice session with the prime focus for switching over from MS-Office to Free and Open Source Libre Office. The SDP proved to be highly inspiring with a total number of about 50 participants in attendance, consisting of Ministerial, Administrative officials and non-teaching staff drawn from various units of the University. 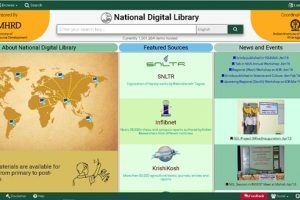 Register for National Digital Library Today !